Lockable Mini Jumbo Toilet Roll Dispenser in stainless Steel. Plastic Blue Tinted Transparent Twin Mini Jumbo Toilet Roll Dispenser to hold 2 x minio jumbo toilet rolls. Jeyes Lu Blues are cistern freshners . 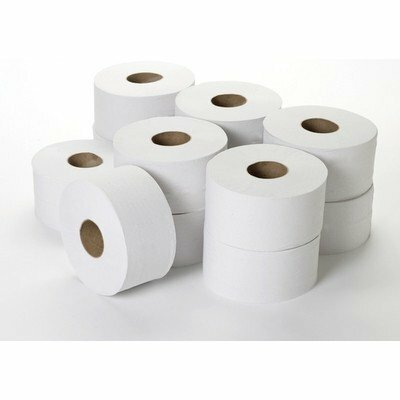 These Mini Jumbo Eco Toilet Rolls come packed in cases of 12, making them 90p per roll. This is economy paper but that doesn't mean that there is any skimping on quality. It is very absorbent and extremely soft and comfortable to use. 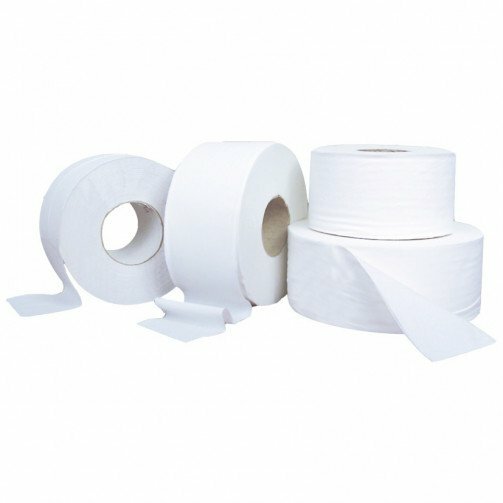 These Toilet rolls are ideal for environments where you don’t have a janitor on sight 24/7 to be continuously changing the rolls, for example; Schools, Colleges, Hospitals and Hotels.